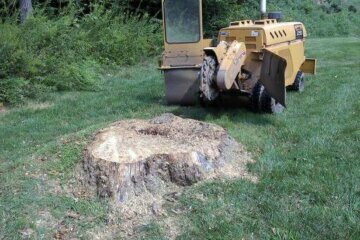 When in need of a tree removal service in New Brunswick NJ and surrounding areas, Raritan Valley Tree Service possesses the experience to handle your tree cuttings with no issues. Your trees’ circumference will expand as trees grow larger and taller because of the fact that their roots are going to expand. Roots can become dangerous to your house’s foundation of a tree is allowed to grow too tall. 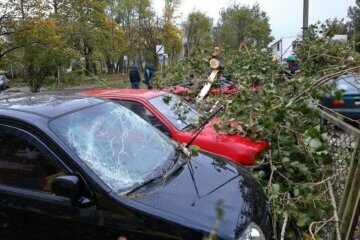 Severe damage to your house’s structure can be the result. Additionally, tall trees are capable of becoming a safety concern when they loom over your property. Something else to consider is the fact that the acceptable height of trees and bushes may be dependent on the town or neighborhood. From a privacy point of view, trees are great, but can additionally block blocking out sunlight. Lack of sunlight can keep you from having a beautiful garden or seriously cut into your backyard tanning time. 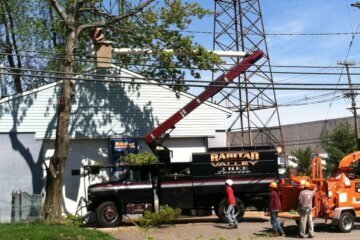 When you’re looking for a tree service company in Monroe NJ to ensure none of this happens, all you need to do is contact the specialists at Raritan Valley Tree Service. There are quite a few benefits to our pruning tree service in New Brunswick NJ and surrounding areas to take into consideration. 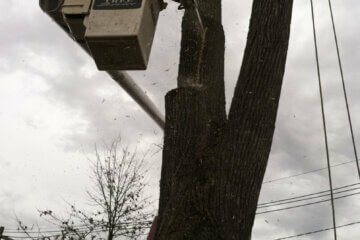 In addition to protecting your own safety and the safety of your house, tree cutting is good for the trees themselves. One of our specialists is going to remove dead wood and foliage, which protects the tree from disease, and is among the reasons for the importance of proper tree pruning. This also helps the tree stay as healthy and look as good as possible because it’s going to help guide the trees’ growth. 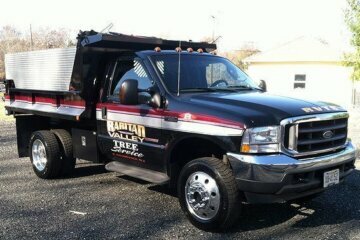 When the tree service contractors from Raritan Valley Tree Service perform tree cutting on the diseased or weak areas of your tree, it prevents the spread of rot and disease. 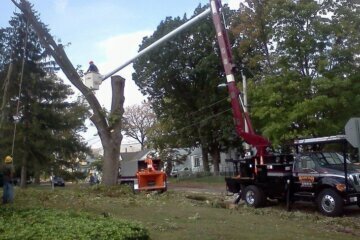 One of the many ways we’re capable of helping is making sure that tree trimming is performed at the right time of year. 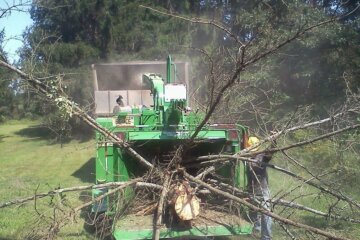 Your trees might respond to tree cutting in different ways depending on what type of tree it is. There are trees that are best pruned in the spring, while others are best when pruned later in the year. When tree cutting is performed at the wrong time, it’s capable of being left open to disease. The tree is additionally capable of being prevented from growing properly. Cutting a tree only after its yearly growth spurt can be especially damaging as a result of the fact that the tree is at its weakest throughout this time of the year. 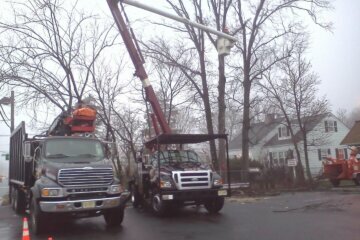 This is the reason when you are in need of a tree service in Monroe NJ, it’s in your best interest to contact a specialist. 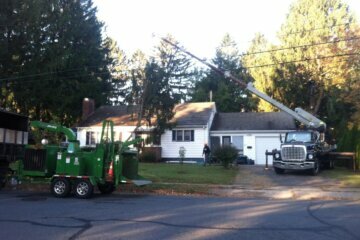 Raritan Valley Tree Service is here to serve as leading choice for a tree removal contractor in New Brunswick NJ and surrounding towns if you need to safeguard the safety of your home. Although a tree falling on your property is capable of being absolutely disastrous, because of the amount of skill required, this is not ever something you should try yourself. 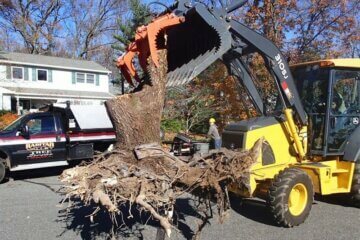 Thankfully we’re among the best alternatives out there when it comes to tree removal cost. 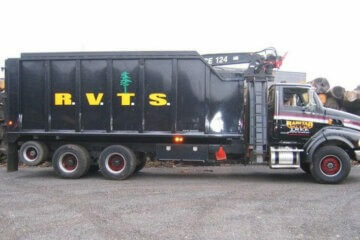 When you are in need of a tree service company in Monroe NJ, Raritan Valley Tree Service is among the best around.